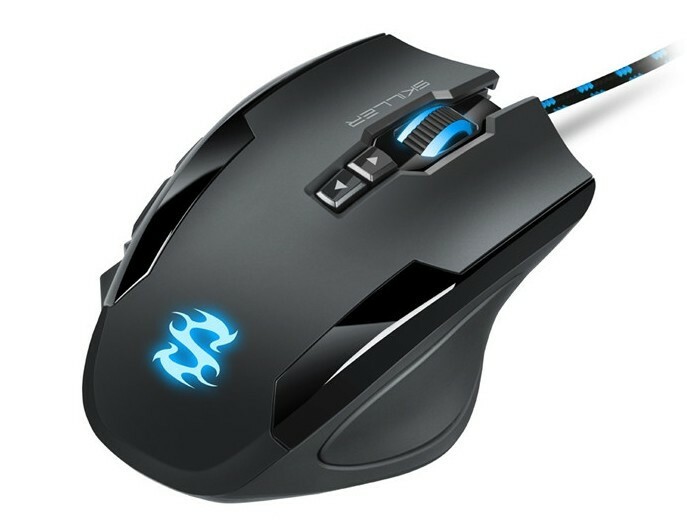 Sharkoon expands their lineup of the new Skiller series and introduces an optical gaming mouse: The Sharkoon SKILLER SGM1 Gaming Mouse, with an optical PixArt PMW3336 sensor with up to 10,800 DPI. Five quickly accessible macro buttons provide decisive advantages for demanding gamers, who appreciate the benefits of comprehensive programming. The SGM1 offers, in addition to its stylish ergonomic design, a seven-step weight tuning system. Using the six weights, each weighing four grams apiece, the weight of the mouse adjusts in seven increments between 106 to 130 grams. No tools are required; the spring-loaded locking mechanism on the bottom allows easy access to the weight tuning system tray. Durable Omron switches in the left and right mouse buttons promise stability, even during continuous use. The maximum polling rate is 1,000 Hz; lift-off distance is 2 mm. 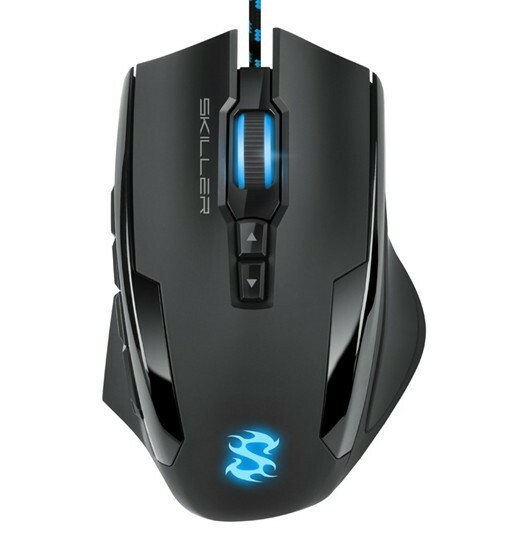 The optical aspects were also well thought-out, the RGB illumination of the mouse wheel and SKILLER logo are fully customizable. The SGM1 connects via a textile braided cable in a black-blue design with gold-plated connector, which offers sufficient room with 180 cm. 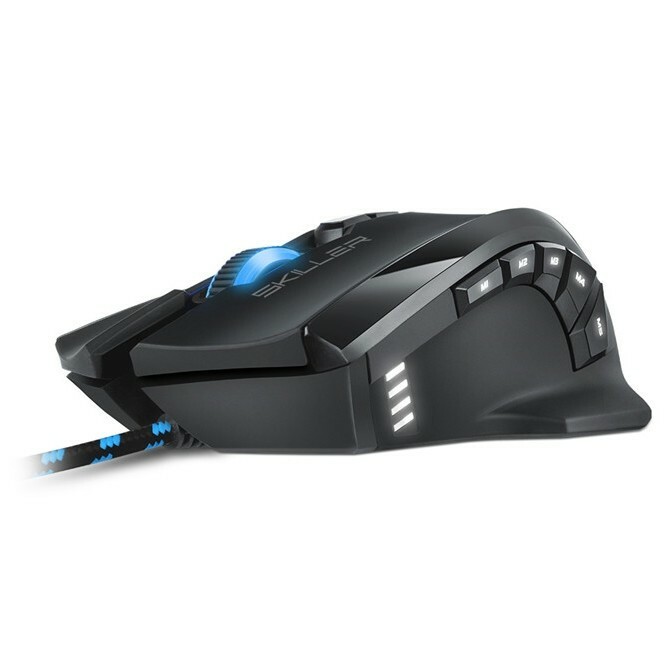 Create up to six different DPI steps using the including gaming software and cycle through them on the mouse via its DPI switch. The LED DPI indicator informs the user of the selected sensitivity of the sensor. Furthermore, through the software settings the RGB illumination, polling rate, double-click and scroll speed, angle snapping and axis sensitivity can all be cared out. 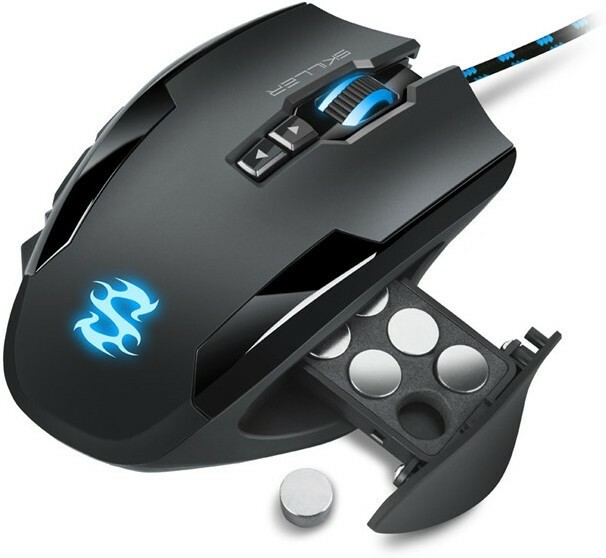 For difficult shortcuts while gaming or during repetitive office work, the SGM1 offers 12 programmable buttons. This includes the illuminated 4-way scroll wheel and macro buttons. A single click can easily execute macros, keystrokes or multimedia comments. Thanks to the white illuminated macro buttons, preferred actions during gaming is always at your fingertips. Once configured, complex key sequences including delays and mouse clicks are saved as complete game profiles in the onboard memory of the SGM1. 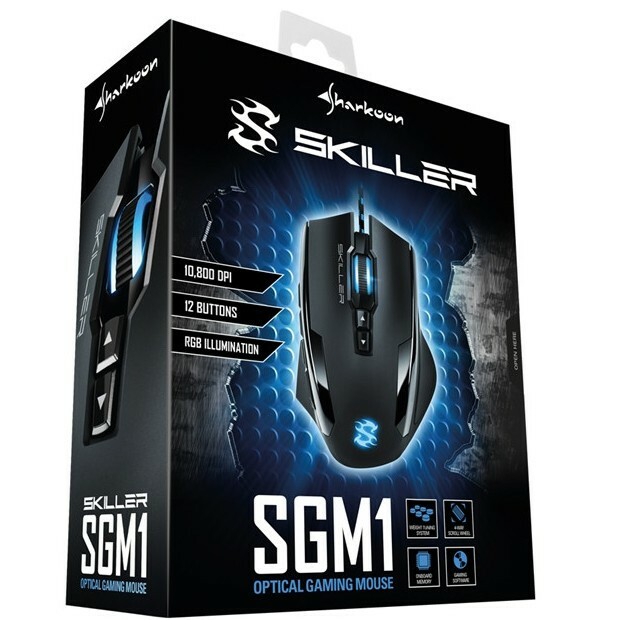 The Sharkoon SKILLER SGM1 Gaming Mouse is now available for the suggested retail price of 39.99 euros from authorized retailers.